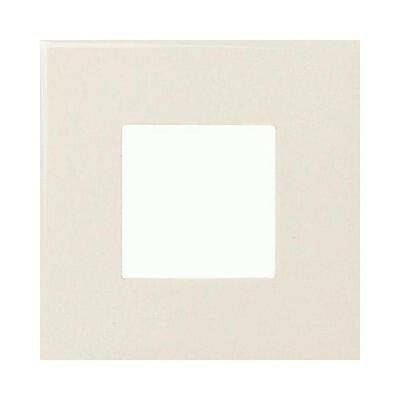 Get this daltile almond ceramic square-insert accent tile to put an attractive finishing touch on your indoor wall installation project. This durable tile is constructed from ceramic material and features a non-vitreous water absorption rating, and its warm almond color, glazed, medium-sheen finish, decorative motif and slight variations in texture and pattern combine to create an aesthetic that seamlessly integrates into a variety of decorative schemes. You can buy this product in our internet market. We will be glad if you make the right choice. 0.125 square feet per piece, each piece sold individually. Piece weight equals 0.36 lb.